We were greeted on the door and shown to our table where the lovely Charlotte, who was our server for the evening, sat us and gave us some menus to look through. We all ordered bottomless drinks to fill up ourselves with their touch screen machine which I found more difficult to use than necessary. If it wasn't for my friend showing me how to use it, I would of had to rely on the eight year old girl behind me. Major blonde moment. 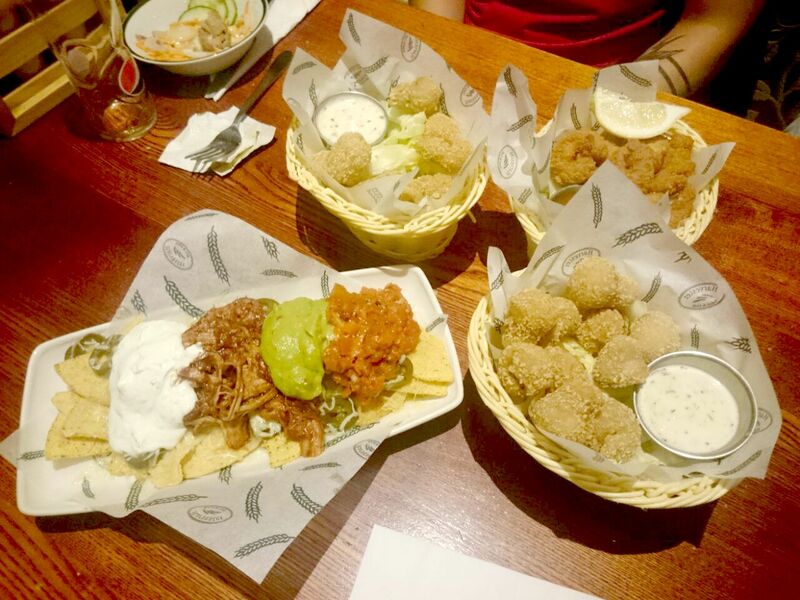 After browsing through the huge menu we ordered starters of Nachos with all the trimmings, Breaded Mushrooms and Spicy Crackerjack King Prawns. While waiting on our starters to arrive we hit the free salad more so than we probably should of considering the food we ordered. 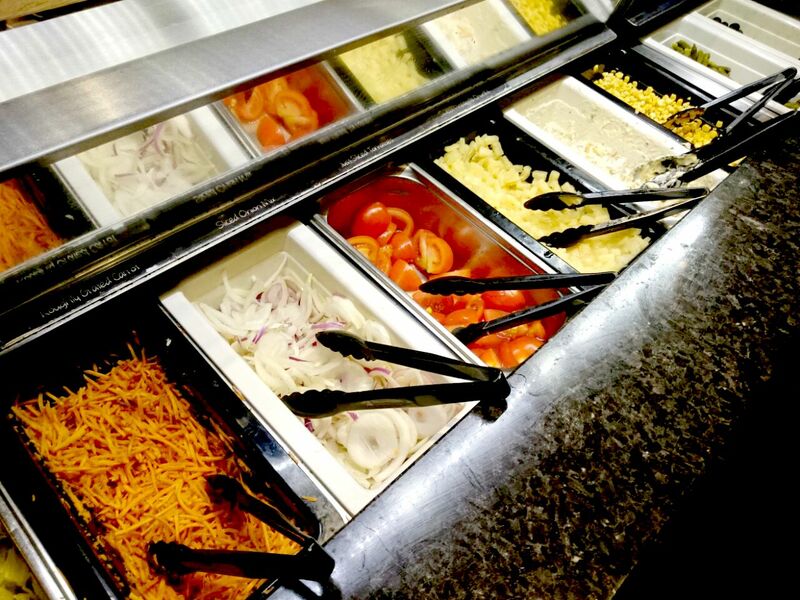 For a free salad bar I was really surprised at how fresh and tasty it was and could of quite happily just eaten the salad bar all night. Starters arrived and they were so good. I find some Breaded Mushrooms really greasy but these weren't like that and they were really tasty! Charlotte was attentive the whole evening and kept coming over to check we were okay, which for a cheap and cheerful restaurant, made a nice change! 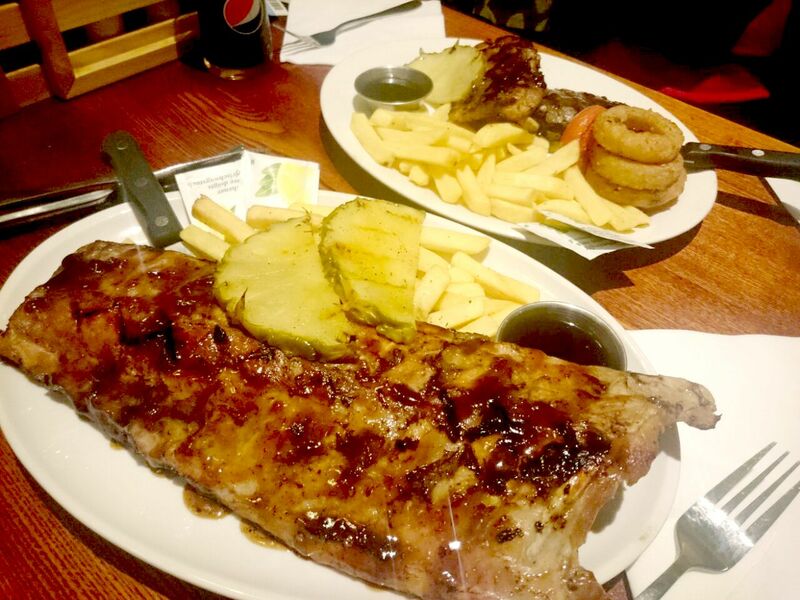 We had mains of Mega Ribs which were nice but a bit too fatty, Sticky Steak & Rib combo which my friend really enjoyed while I tried (and failed) to eat the The Harvester Beef Fully Loaded burger. The burger was delicious but I just did not have the stomach to finish it, plus I needed to save room for one of their mouth watering desserts! 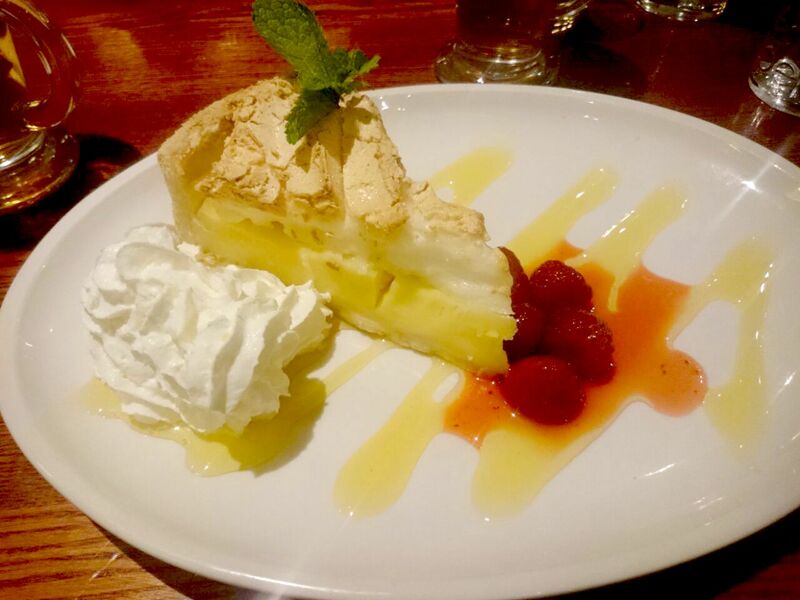 After drinking some Peppermint Tea to combat the serious food babies we were sporting we ordered the Chocolate Fudge cake and the Lemon Meringue pie to fill our dessert stomachs. I had such an enjoyable evening filled with friends and food. Charlotte was fantastic all evening too. It makes such a difference having a waitress who's friendly and gives you their full concentration even when they're being called for left, right and center. 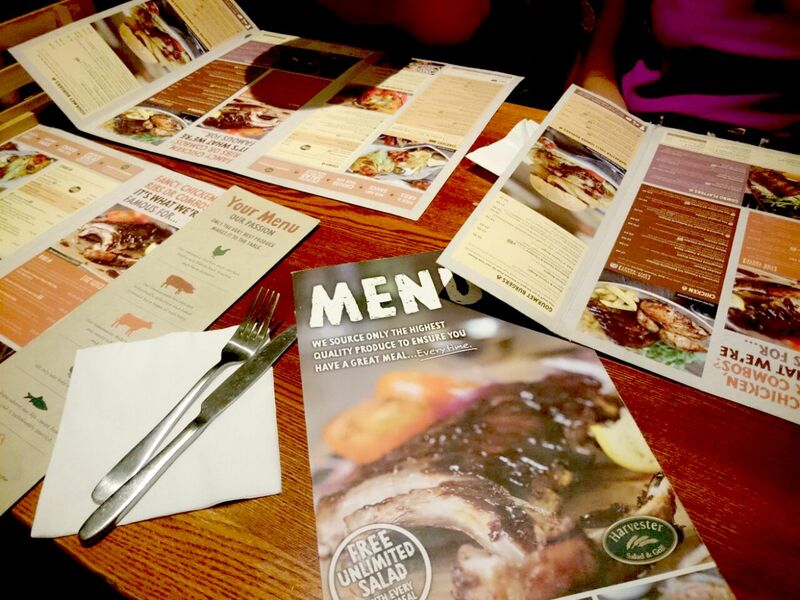 Harvester have definitely found a new customer in me. 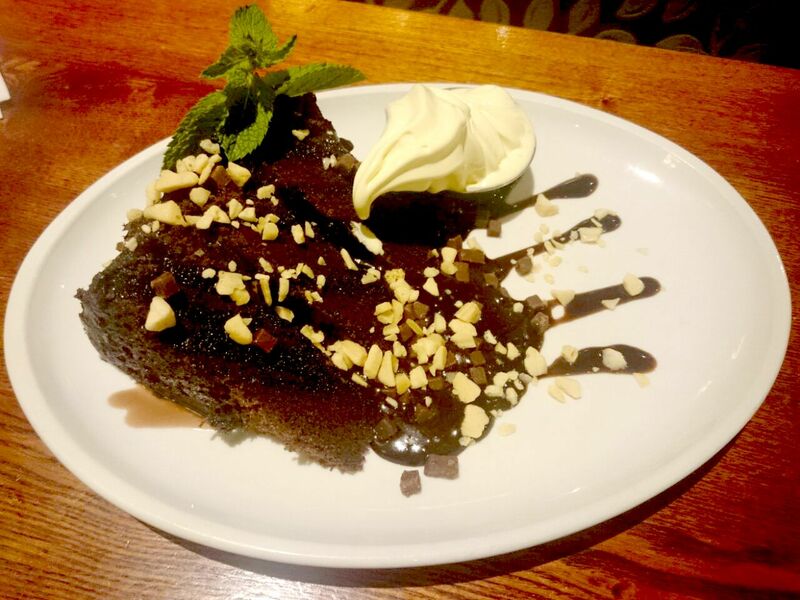 I can't believe you've never been to Harvester before - it's the best for cheap comfort food and food babies! ha ha. Plus we live real close to Windhover Manor, and their service is second to none every time! I've never been to Harvester either!! But all that food looks delicious. You're right that it does make such a huge difference if your waitress is friendly and willing to give you their time!